Today, it is a tendency to create and possess a Gmail account since you can use it to do many things - sending emails in Gmail, making an Android backup via Google sync, managing Android files on Google Drive/Google Photo, etc. Hence, for those who are accustomed to using the service related to Gmail account, it would be a disaster if they forget the passcode. But luckily, this Gmail password recovery tutorial can help you to get back the passcode with ease. 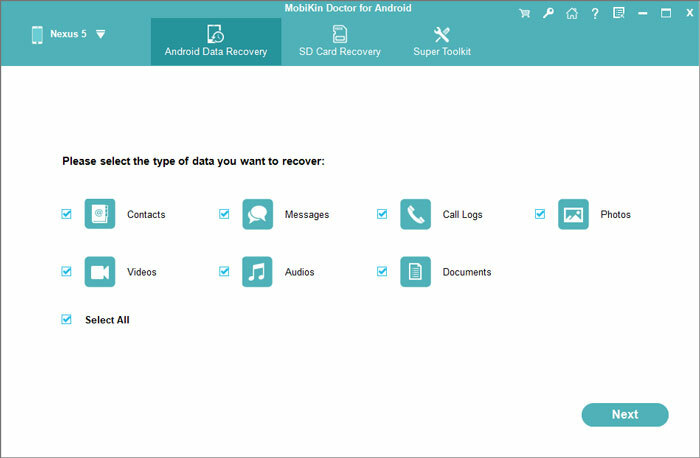 Extra Tip: How to Recover Other Lost Data on Android Phone? Step 1. To start with, you need to google.com in your browser. Step 2. After entering the web page, you will see a login button at the upper right corner. Just click on it and type in your Gmail account and go on to click on the "Next" button. Step 3. On this interface, you can click on the option "Forgot password?" at the lower right corner. Step 4. Next, Google will prompt you to enter the last password you remember. If you remember your old password, you can type in it and click on "Next" to directly login to Gmail and follow the prompts to continue the process. But if you cannot think of your old passcode, you can choose to tap on "Try a different question". Step 5. Now Google will try to help you recover the Gmail password with a verification code. It will send a verification code to the phone number that you have used while signing up for the current Google account. You can click on "Send text message" or "Get a call" to receive the verification code via SMS or phone call. Step 6. Unlock your phone to get the verification code and enter it in the blank box. Then you are able to change or create a new passcode for your Gmail account. Step 7. If you have changed your phone number and cannot receive the verification code, you should click "I don't have my phone" and enter the recovery email address that you've set up for account security. Then you need to tap on "Send" and login to the email to get the verification code. Step 8. Supposed that you do not set up a recovery email beforehand, you can choose "Try a different question" to recover your passcode in other ways. What to Do If I Can't Sign in Google Account on Android? How to Change Email Address for Google Account? As you can see, you can try to answer different questions to recover your Gmail passcode. Then what kind of question will Google ask you? Here are some common questions for you. - A previous password: It will first ask you to enter an old password that you have ever used. - Verification code: Send a verification code to you via text message, phone call or email. - Security question: There will be a security question under "Answer the security question you added to your account". You can choose to answer the recovery question to restore your Gmail passcode. - When you set up the account: Enter the month and year when you created the Gmail account. 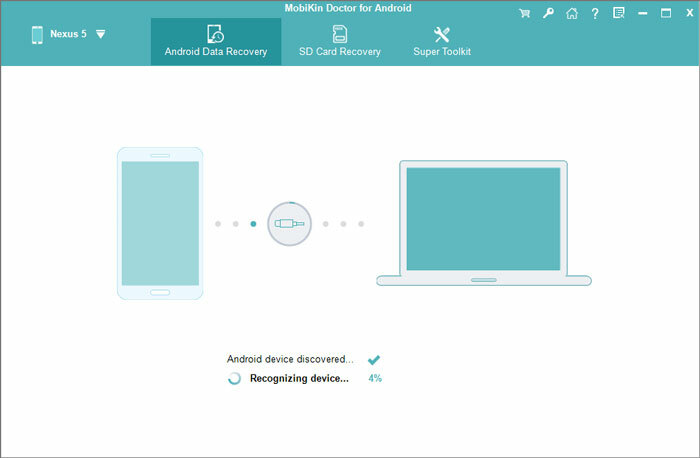 How to Recover Other Lost Data on Android Phone? Not only the Gmail passcode, are some other files on your Android phone also at the risk of losing as well. Then what to do when Android data lost? 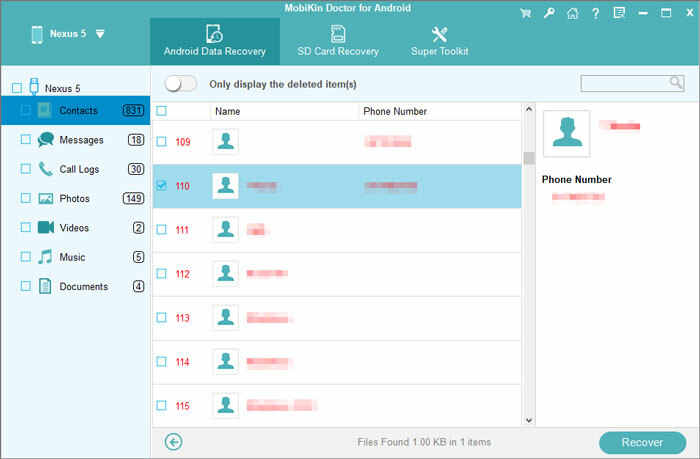 In this case, you can ask a professional recovery tool like MobiKin Doctor for Android to restore the lost data. With the help of this tool, you are able to get back the contacts, text messages, call logs, etc. on your Android phone without any hassle. You can download the software onto your computer to have a try first. To recover contacts, text messages and call logs with this program, you need to root your Android phone beforehand. Step 2. Use a USB cable to connect your Android phone to computer and go with the prompts to make the connected device be recognized. Step 3. When your device is detected by the program, you will be required to select the file types that you want to restore. Just tick off the wanted file types and tap on "Next" to start scanning for the lost files. Step 4. After the scan, the program will categorize your phone data in the left panel. Just click on the wanted folder like "Contacts", "Messages", "Call Logs". Then the detailed contents of the selected folder will be displayed in the right column. Just check the files you want to restore and hit the "Recover" button. Do you know how to perform the Gmail password recovery now? Just go with the steps above to easily get back your passcode so you can enjoy the services that are related to Gmail.